I was lucky to be chosen for a makeover session last Saturday, I consider it as an early gift to me because before of the said invite. I was actually planning to visit a salon to have my hair done for few fixes. A haircut and a hair relax if still fits my budget was the original plan. I had my hair rebonded 2 years ago and I would like to have another one this time but haven't had time and budget for now. Thanks to Beauty Lane Philippines for having me. I got my hair cut done and a Brazilian Blowout for free. Not only that but I also have hair color which is great and I'm loving it. 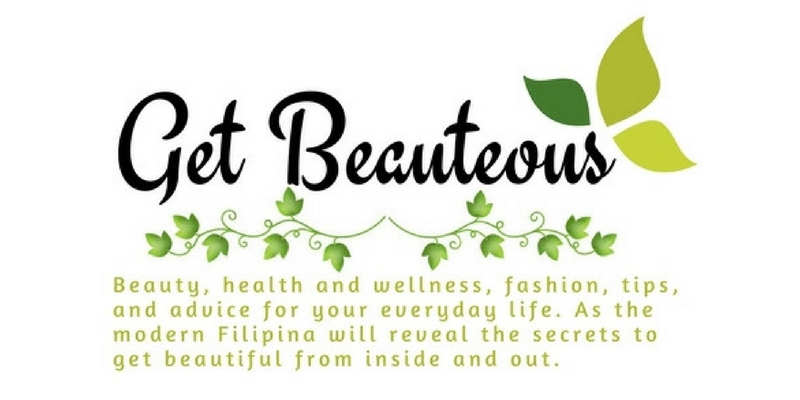 When we visit the Beauty Lane Training Center in Alabang. I met Ate Onie Revilla, she takes care of me during the session. I was lucky because she helps me to choose the best color for my hair and she is very precise to what she does, and I know that she knows everything on her chosen career. First, she put rubber bands on my hair so that she will know long she needs to cut it. Ouch! I think the length was too high, but it's okay. My kid also gets few souvenirs of my hair tied in a rubber band. Then she sectioned my hair and applied a first coating. Actually, she made 3 sets of coatings on my hair. What I like to the products they use into us is that it won't kill you in odor, very mild and very effective. After the coatings to my hair and had rinse and blow dry it. She followed it with Brazilian Blowout. Same thing as the hair color didn't smell like chemicals. It's actually very fragrant. However, during the time that they blow dry my hair and iron it, I feel something itchy in my eyes. It also makes me feel like crying. I know that it's natural because they even use a face mask to cover their nose. Then it was rinsed and blow dry again. Check out the difference... my hair before and after the treatment. Finally, it was done... and had few touches in my hair and it looks perfectly awesome. I love the outcome and even my blogger friends like it. Most of the people I know told me that my new hair style and color is suitable for me. Thanks to Beauty Lane Philippines and to Ate Onie. You guys are so good, until next time! It was another fun day with Friso at the Alabang Town Center last July 25. Moms and their kids bond together with exciting activities in the event. Parents and kids both enjoy the activities in learning, arts, music and sports. Spending time and playing with our child helps them to develop their mental, social and emotional intelligence. This kind of event is put up to allow mom and child experience more together and creating good memories in a day of fun. Each child needs to finish the quest to get their rewards after the event. For more information on Friso, please visit http://frisofunraiders.com or visit their Facebook page at http://www.facebook.com/FrisoPhilippines or call the Friso Nutriline at (02) 63-(FRISO) 37476. You may also follow them on Twitter to get the latest news, product updates, events announcements, and special promotions. The StyleList, Inc. is the first styling service company in the Philippines that services some of the biggest names in Showbiz like John Lloyd Cruz, Maja Salvador, Angelica Panganiban, Matteo Guidicelli and Jerico Rosales. The program follows Rex and his Angels around the metro as they go from one shot to the next with tons of clothes, shoes and accessories pull along to create an impressive look for some of the showbiz's biggest stars. Promising a mix of styling drama, a hefty serving of the season's best collections and a mile's walk in the shoes of the country's top stylist, The StyeList, Inc. will surely bring out the fashion maven in you! You can catch The StyleList, Inc. as it premieres on July 27, Monday, 9:30 pm only on E! Channel. The Japanese clothing and high street brand UNIQLO understand this need so it has come up with a clothing collection carefully design and created to be safe for babies. Following the global Oeko-Tex standard 100, UNIQLO makes sure that every piece of clothing is free of harmful substances and meets the high standards. UNIQLO's Baby Wear are categorized as Class 1 to be the safest classification under the Oeko-Tex standards. They carefully selected the materials from raw to finished product, all clothes are made sure to be formalin-free to ensure the health and safety of babies. The Babies collection was initially being carried only in 5 stores of UNIQLO such as Megamall, SM Mall of Asia, SM North EDSA, SM Aura and Powerplant Mall. Today, the collection is already available in 11 more UNIQLO outlets namely SM Pampanga, SM Clark, Robinsons Manila, SM BF Paranaque, SM South mall, Gateway, SM City San Lazaro, SM Makati, and Robinsons Magnolia. A total of nine different baby clothing categories will be available in 16 UNIQLO stores. Most of the care labels are commonly sewed inside the clothes, UNIQLO's had its ones placed outside to prevent irritation. A special sewing technique is also used to removed any unevenness on the cloth or threads to keep the skin of babies safe and to keep UNIQLO's commitment of providing safe products to babies, UNIQLO will also be adopting an original quality standard later this year. This is another step for the brand to conduct strict product management and finally assume final responsibility to its clothes. To learn more about UNIQLO Baby Collections, you may visit www.uniqlo.com.